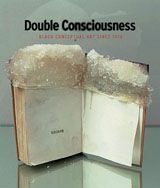 Double Consciousness explores the conceptual art practices of African-American artists over the past 35 years, using as its underpinning, the "reflexive" nature of art-making which emerged with the avant-garde of the late 1960s. 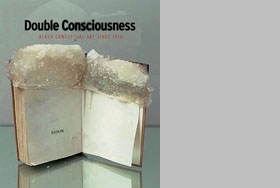 The exhibition chronicles conceptual art as practice of ideas as manifested through the use of everyday materials and objects--performance as action; interventions or critiques; as well as writings. It also focuses on the evolution of conceptual art in subsequent decades as a tool to deconstruct existing precepts regarding gender and race, and as a strategy in presenting ideas regarding the complexities of contemporary society and how artists skillfully negotiate these complexities as it relates to themselves and the community at large. The exhibition's concept is an aesthetic contribution to the rethinking of DuBois's "double conciousness" theory that asserts that African-Americans are no longer relegated to looking at themselves through the eyes of others, but rather through their own gaze. The catalogue features a chronology of significant events that have helped shape the language and ideas of artists over the last century as well as an anthology by a few artists in the exhibition--Adrian Piper, Charles Gaines, Arthur Jafa and Howardena Pindell, to name a few. Participating artists include Terry Adkins, Edgar Arceneaux, Sanford Biggers, Ellen Gallagher, Jennie C. Jones, Senga Nengudi, Maren Hassinger, Gary Simmons, Nari Ward and others.